A car crashed into a Sun City home early Saturday morning. 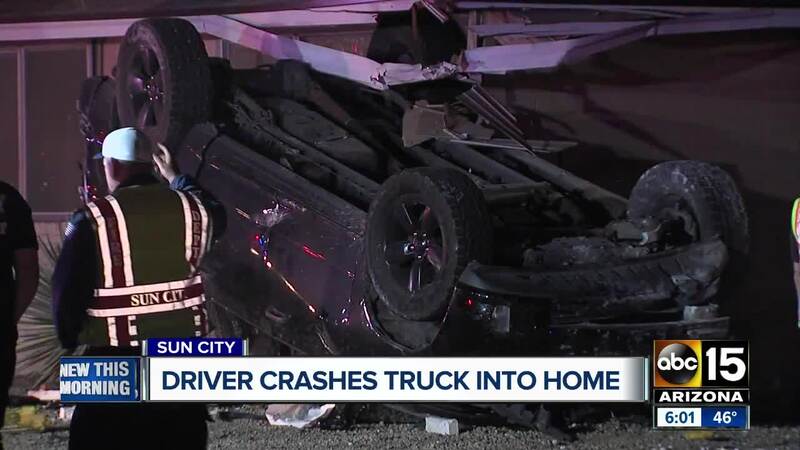 SUN CITY — MCSO has determined impairment was a factor after a car crashed into a home in Sun City late Friday night. According to MCSO, the truck was occupied by two men who were transported to the hospital for precautionary reasons. There were no serious injuries according to MCSO. The driver was impaired, MCSO says, but his identity was not immediately available.